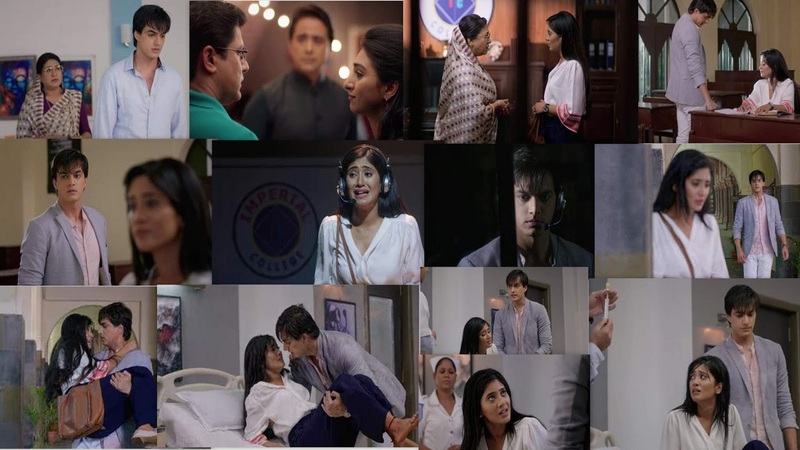 Home Yeh Rishta Kya kahlata Hai Yeh Rishta Kya Kahlata Hai 29th June 2018 Episode Written Update "Kartik takes Care of Naira at Hospital"
Yeh Rishta Kya Kahlata Hai 29th June 2018 Episode Written Update "Kartik takes Care of Naira at Hospital"
episode starts with Kartik comes home and meets Dadi. Dadi asks him about his stay at his friend’s place. Kirti and Naitik happen to meet Manish at the restaurant. Kirti tells them that she has decided their meet so that they can talk about Kartik and Naira. She wants to bring both the families together. Suwarna is also in the same restaurant with her friends. She gets to see Manish with Kirti. She doesn’t see Naitik and gets busy with her friends. She tells her friends that she won’t get in between Manish and Kirti. Manish tells Naitik that he wants to unite Kartik and Naira, who are made for each other. He tells that he couldn’t talk to Suwarna, she isn’t getting convinced, but the family wants to unite Kartik and Naira as he wants. Kirti tells them that she has a plan for it. Kartik doesn’t want Naira to tell anyone about his drunken chapter. He gets into an argument with her in the class. He asks her if she told anything to Dadi. Naira avoids him. She tells him that she didn’t tell anything to Dadi, she just spoke to Dadi about students awareness. She reveals that she knows to keep personal and college life separate. She asks him to maintain their professional terms. Manish learns that Suwarna was at the same restaurant. He worries that Suwarna has seen Naitik and doesn’t want to tell him. He feels guilty to lie to him. Naira is asked to dance by Kunal and Tanvi. Naira tells them that she can’t dance. She gets crying and recalls her injury. She asks them to stop the music. Naira breaks down on the stage. Naira doesn’t tell anything to her friends. Tanvi asks Naira not to hesitate dancing. Naira tells them that she can’t dance even if she wants to. Kartik learns about Naira’s decision of not dancing. He asks her the reason and asks if she has quit dancing because of him. Naira tells that she isn’t limited by anyone, but its her injury because of which she couldn’t continue dancing. Kartik finds Naira falling and getting a sprain in her ankle. He rushes her to the hospital. Dadi sees them together. Manish finds Suwarna worried for Kartik. He pacifies her and tells her that they can meet Kartik soon. Kartik and Naira leave for the hospital. She finds his concern and cries. Kartik tells her that they will soon reach the place. Doctor asks Naira if she has any old injury. Naira lies about her injury to hide the matter from Kartik. She gets scared of injections. 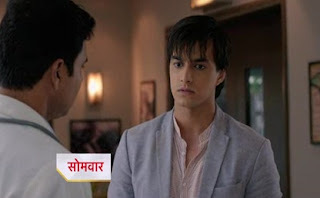 Kartik asks doctor to give medicines. Naira takes the injection to show off to Kartik. Naira holds Kartik’s hand while bearing the pain. Doctor ask Kartik about Old Swelling In Naira's Feet Also Tells Him that Injury is getting worse But Naira didn't allowed him to Check Kartik Gets Shocked.